“Why is my heart beating so fast?” is a question many sufferers from panic attacks/anxiety often ask themselves. As with any symptom, the first port of call is always the doctor. You may have a physical condition which can be easily remedied by medication. 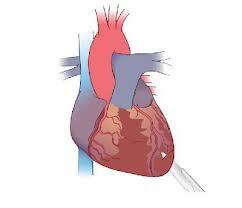 If the doctor is unable to find anything wrong with your heart, and feels that your heart is beating at a normal rate, ask him if it could be caused by anxiety. Worrying about your heart beating fast can take up most of your time and become obsessive. Many people end up buying heart monitors and regularly monitor their heart rate. If the reading is high, they worry. If the reading is low, they worry. If the reading is average, they worry the machine may not be accurate. The heart monitor becomes the most important item in their life and determines whether they have an average day or a bad day; they will rarely have a good day. A heart is built to beat at different speeds depending on the activity of the person concerned. Our heart will beat faster if we are playing a sport, or slower if we are resting. However, the anxious person will focus on a number and anything above or below that number is a cause for worry. In most cases, if an anxiety sufferer was to measure their heart beat they would find that it is beating at a normal speed…just like the doctor said! Get a watch with a second hand and take your pulse and notice the reading. Take the reading after a period of exercise, and you will note that it will be slightly faster. Your heart is healthy and working as it should be. The problem with anxiety sufferers is that they have become sensitized to their heartbeat and can feel every beat, and imagine it beating faster or missing the occasional tempo. You imagine the slightest noise or other event causing your heart to jump, and possibly cause damage to your heart. Remember, you cannot damage your heart yourself. There is no activity that you can do which can cause your heart to burst. Any soreness or pain are merely muscular chest-wall strain, brought on by tension. You are only aware of its beating, and are making yourself more aware by worrying about it, and paying it too much attention. Here is the solution to worrying about your heart beating faster. To start recovery, sell the heart monitor. If the doctor has suggested that you need one in your house, then consult with him first. Stop focussing on your heart beat by learning relaxation and distraction techniques. 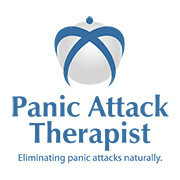 Panic attacks and anxiety are treatable but it requires the sufferer to have the motivation to change their lifestyle. Join our facebook page here for more advice on how to remove anxiety and panic attacks from your life permanently. Remember what your life used to be like? If you are interested in starting treatment for your panic attacks, click on the blue button below to read about a programme which is changing people’s lives. This is the only programme around which provides daily sessions online, to reduce your anxiety and make you mentally stronger, and get you back on the road to recovery. Fear of trains and other types of travel. Fear of trains, driving, planes can seriously affect your quality of life. Many people suffer panic attacks / anxiety when put into these situations, and resort to avoidance techniques to deal with the problem. In most cases, this situation is caused by an incident happening in a specific place, like a train, and the fear of it repeating causes anxious symptoms. In other cases, it might be the fear of being out of control and not being able to escape from the plane or train when anxiety arrives. The following is an exercise to reduce your anxiety when put into a fearful situation. Practice it for a few weeks, and it should be used in conjunction with other techniques on the Eliminate Panic Attacks programme. Sit back and relax on a comfortable seat to perform this exercise for overcoming a fear. It can be a fear of driving, trains, supermarkets, anything you want it to be. It works by replacing the feelings of anxiety with those of happiness. Think of a memory which is special to you, with feelings of something very pleasant and beautiful. I use the memory of holding my son when he was small. Think of how you felt, think of the noises around you, the smells, the colours. Go into as much detail as you possibly can. Now, just for a couple of seconds, imagine yourself on a train (or whatever your fear is). After a couple of seconds, go back to your pleasant memory. After a minute or so, once again imagine yourself on the train, for no more than two or three seconds. Go back to the pleasant memory after this short period, before allowing anxious feelings to build up. Keep practicing the above for 15 minutes. By doing this regularly for a couple of weeks, your brain will start associating pleasant feelings with being on a train. You will have greatly reduced your fear of trains and taken the first step to breaking the cycle of fear. Post by Eliminate Panic Attacks and Anxiety. Fearr of Subway Trains Tube Or Surface: Phobia Cured. fear of trains cured with hypnotherapy and NLP. 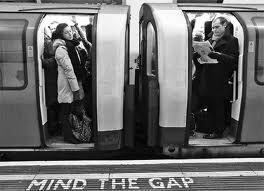 Phobia of subway, tube or surface trains rapidly dealt with. Simply contact us now. fear of trains is also known as siderodromophobia. This phobia includes many aspects of train travel, such as a fear of railway tracks and the physical train itself. Agoraphobia – leave it outside! People with agoraphobia fear being in situations where escape may be difficult, or where no-one would be around if things went wrong. * leaving home; home is normally considered a place of safety. * travelling by plane, trains or any other kind of transport. * visiting places where there are lots of people e.g. supermarkets. People with this problem tend to exercise avoidance; this is the practice of avoiding places which cause anxiety. Others may enter these places, only when accompanied by a friend or relative. In many cases, this condition starts as a result of associating panic attacks with places or situations where the attacks occurred, and then avoiding them. Not all people with this problem suffer from panic attacks. Their fear may be related to a fear of crime, illness or terrorism. If you are a sufferer, you may feel that it is incurable and that you are resigned to having it for the rest of your life. This is not the case and many people recover and lead normal lives again. Click here to go to our online programme suitable for treating agoraphobia. Find everything you need to know including causes, symptoms, diagnosis and treatment, with links to other useful resources.